Looked into the dictionary- canoodling means caress, fondle or pet amorously. Anyway, whatever it is....... this is not the topic for today! 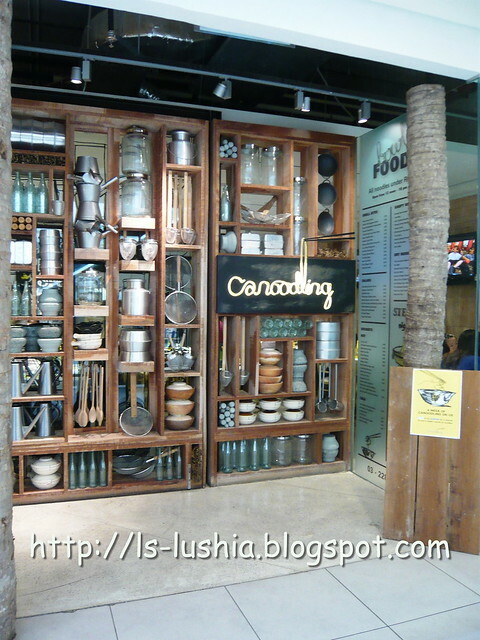 Well, let's talk about dining at Canoodling then. Yup! by BIG Group again and more to come! 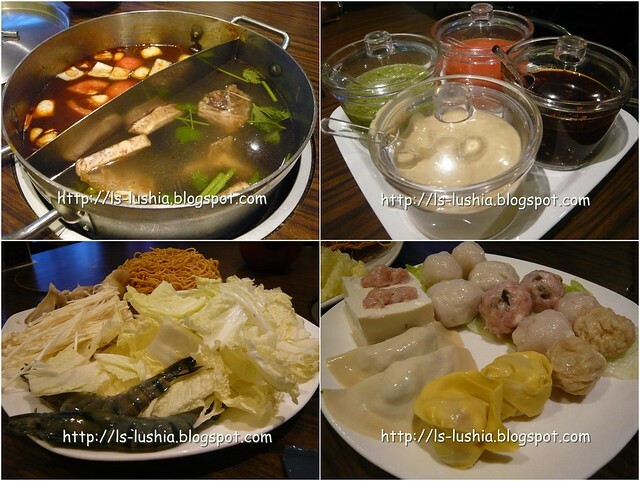 A casual yet stylish noodle house that serves variety of Asian noodles dishes, desserts, snacks, afternoon tea and steamboat too. Thai style steamed silken rice noodle served with lettuce and coriander leaves, marinated minced chicken in dark soy sauce, a bowl of spicy coriander garlic sauce. Mix it, toss it or wrap it up! Eat as the way you like, share as you please. Like the spicy sauce very much. 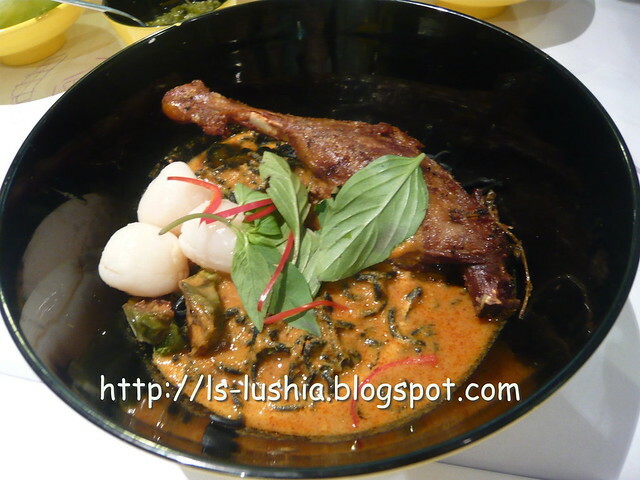 Charcoal noodles served with thai style red curries, lychees and a whole crispy duck drumstick. Noodles with perfect texture and aromatic spicy red curry. It's good! Fiery clear Thai soup prepared with lemongrass, chilli & galangal served with vermicelli and seafood and straw mushroom. Thumbs up ! 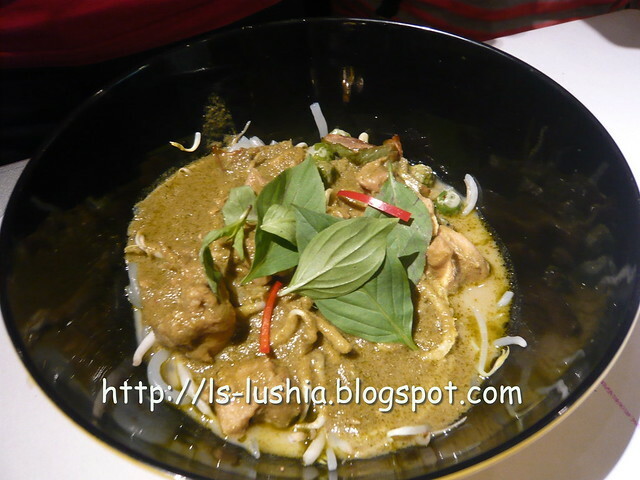 Smooth rice noodle served with spicy green curry chicken topped with crunchy bean sprout. Just nice! 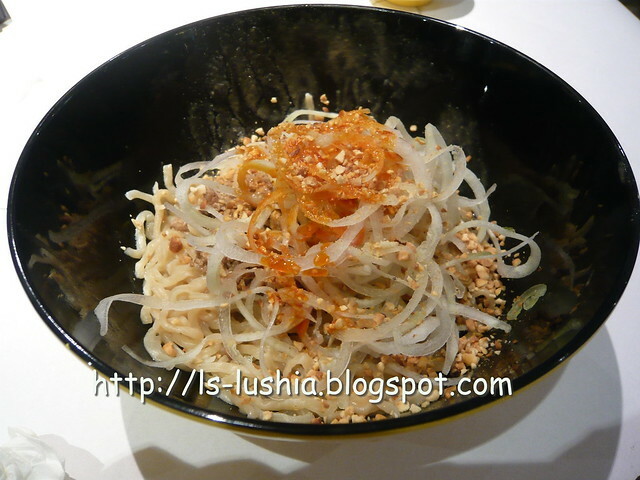 Handmade noodles tossed in peanut buttery spicy sze chuan sauce served with minced chicken heaped with cucumber and crunchy peanuts. A unique noodle dish indeed. 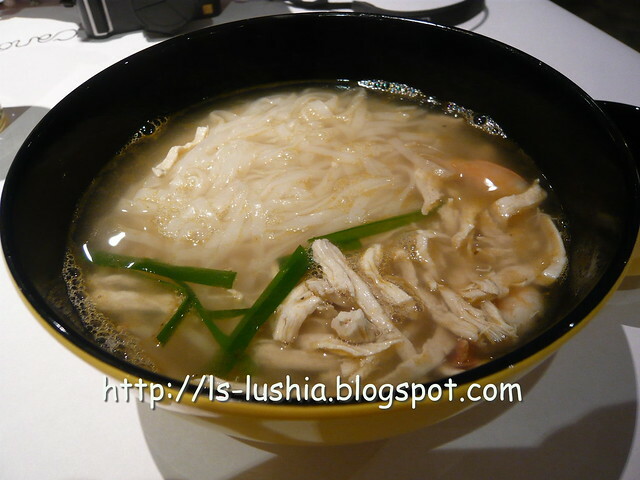 Ipoh flat rice noodles served in clear prawn soup base topped with prawns and poached chicken. 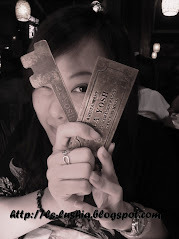 Visited Jadepot Dim Sum & Steamboat on 26 March 2011 for dim sum after my girl mate's registration of marriage. We were invited for a dim sum session here. Thanks gal! Chinese or Japanese style teapot? Like the color combination though. Just like my blog's color! 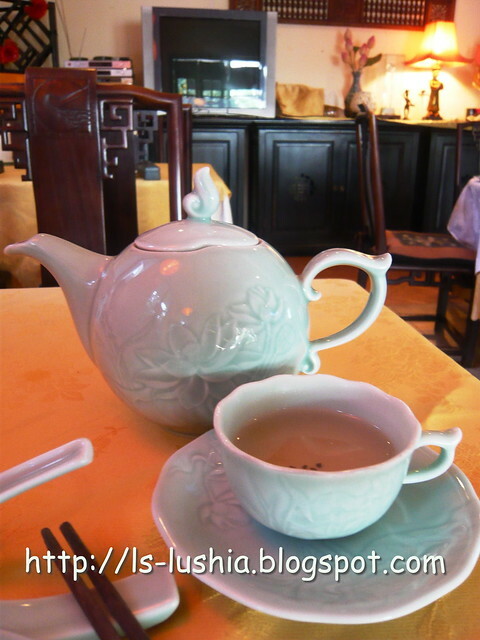 A cup of green tea for you? 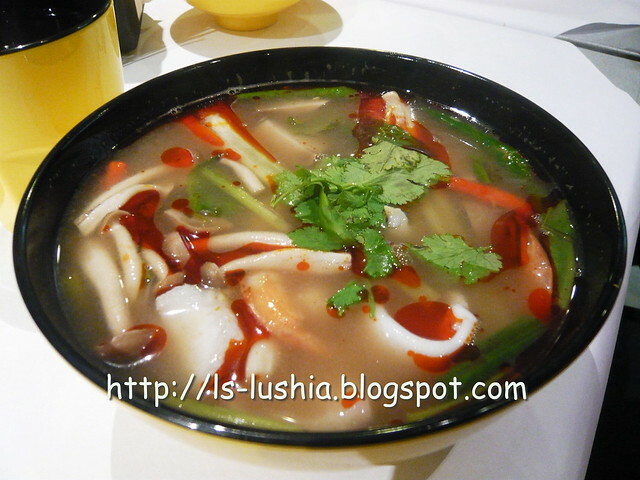 Add RM 5.00 to have two different soup base and we picked Tom Yam & Fish head soup base. Both tasted good. Above is set for two. Add in side orders if you crave for more. The fishballs with minced pork stuffing and prawn balls with salted eggs stuffing was excellent. 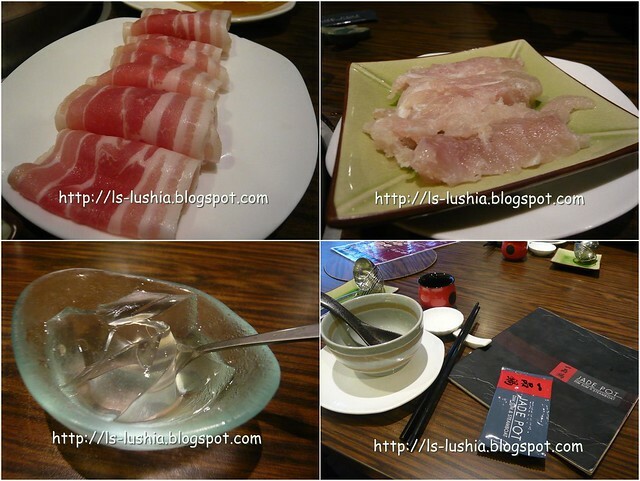 Other than this, there are plenty of other side orders like fresh grouper fish slice, tiger prawns, scallops and abalones. Worth trying! 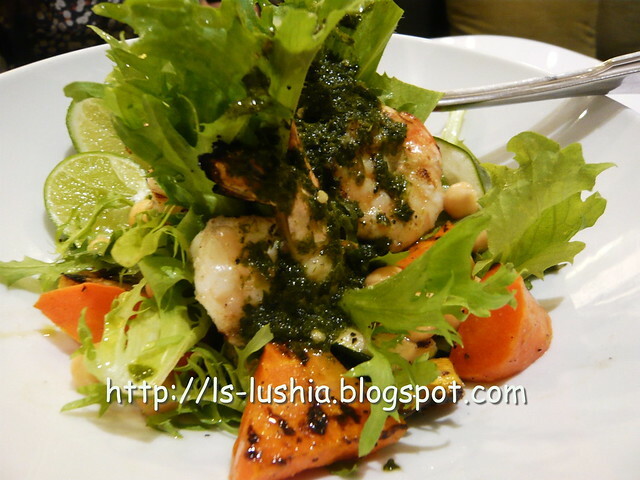 Ingredients- fresh and good, perfect service and definitely a pleasing environment. And yes, dim sum was satisfying too! Presenting ...............One Bangsar @ Jalan Ara, Kuala Lumpur! 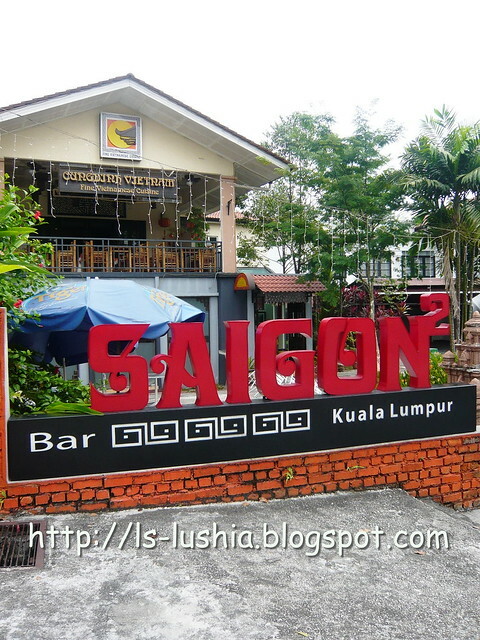 One Bangsar area consist of splendidly designed bungalow houses converted into restaurants. 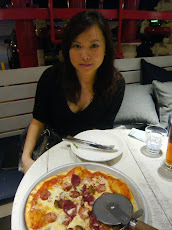 It's not a hidden area, but I guess some might have not known about it, excluding food bloggers as I have seen various posts from different food bloggers sharing their dining experience at restaurants located in One Bangsar. One of my recent visit- Cungdinh Vietnam Restaurant, a restaurant that serves fine Vietnamese cuisine. The restaurant with classic and comfortable Chinese interior and a calming atmosphere- a restaurant perfect for family dining as well as small scale gatherings. A type of green tea produced in Vietnam that has been flavored with lotus (flower) either by stuffing tea leaves into a lotus flower and left overnight or by pulling the stamen and jar them overnight or bake with the tea leaves. Taste a little weird upon first sip but much soothing after a cup or two. A refreshing mixed salad roll served with spicy peanut sauce- Good! 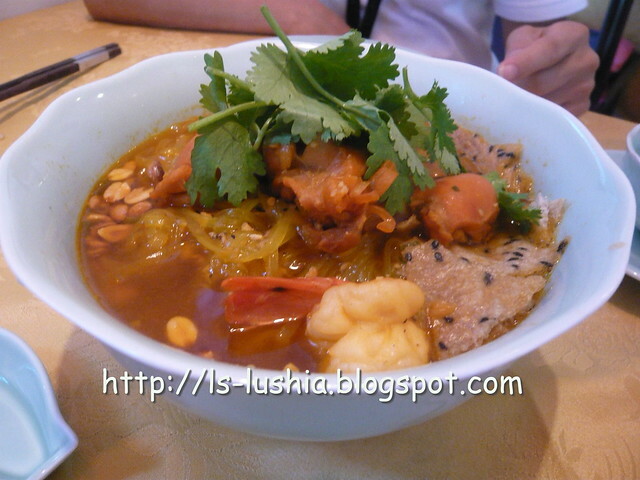 A special type of Danang, thick noodles with fresh juicy prawns, chicken, sesame crackers, ground peanuts served in hot soup ( not too spicy ) topped with mint, shredded banana flower and water spinach-Interesting! 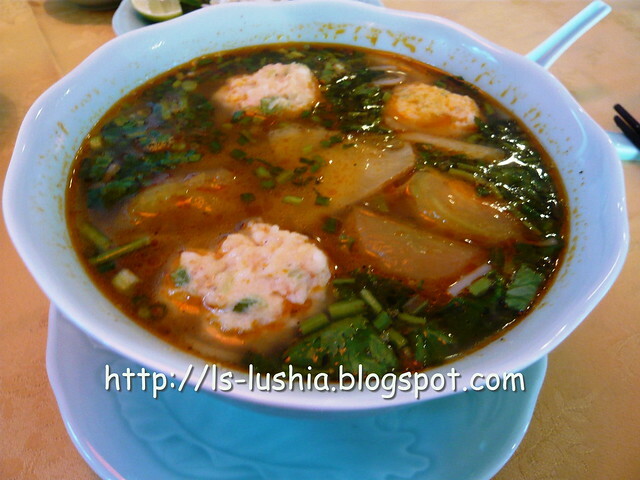 Spicy noodle soup served with crab meat balls- Pleasing! A traditional Hue rice dish. Topped with lots of baby clams, banana flowers, star fruits and sesame seeds. 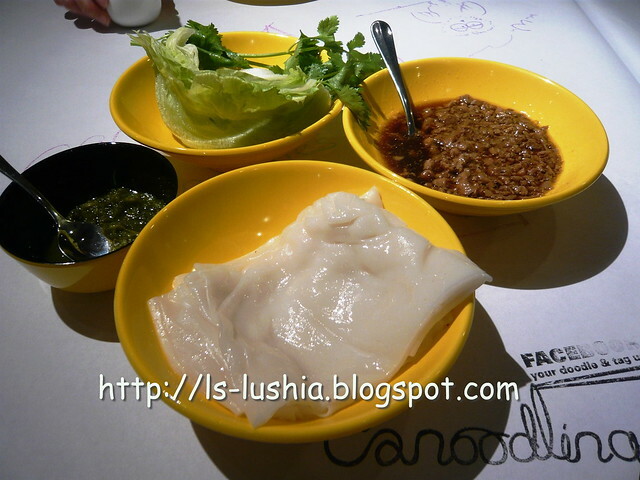 Rice is served with baby clam soup, chilli sauce and shrimp paste. Clam soup to be mixed with the rice- Appetizing! 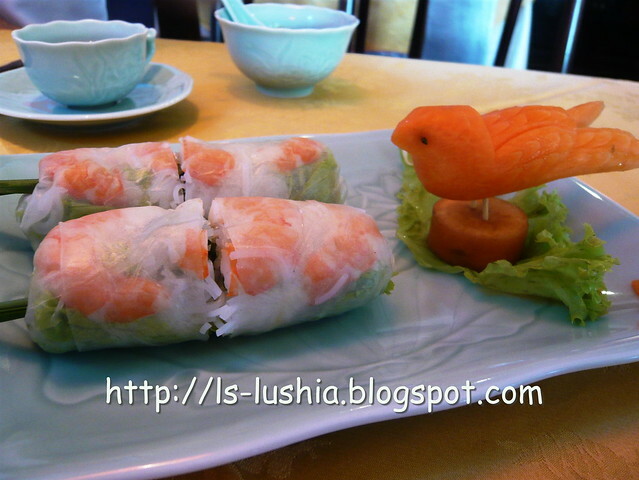 We enjoyed our lunch at Cungdinh Vietname restaurant and do look forward to try more of their vietnamese cuisine. A pretty satisfying experience here! Spotted T Forty Two while I was at Bangsar Village-Looks good and what's next? Yes, it's new (in Bangsar Village II) and YES, it's another outlet by the BIG Group. 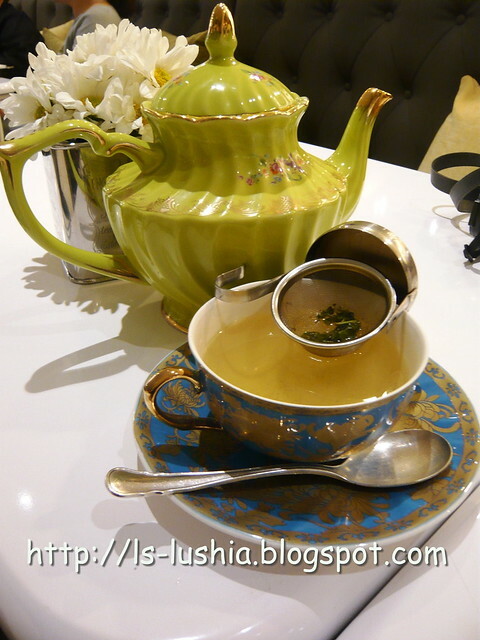 T Forty Two serves classical French cuisine and a wide range of gourmet teas. 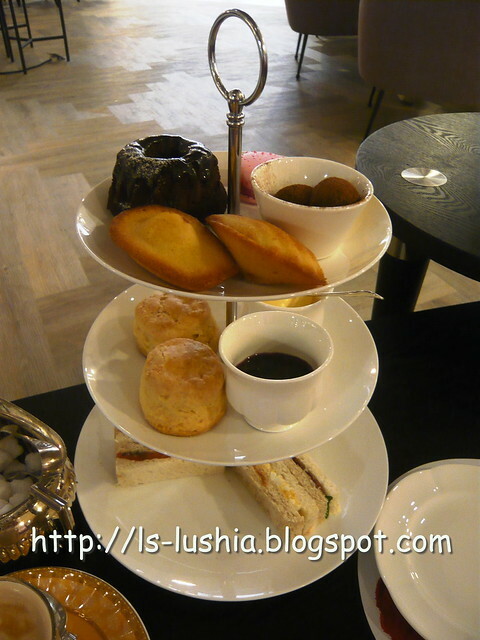 Also, T Forty Two serves selection of tempting cakes, variety of salads, quiches and other hot dishes too. 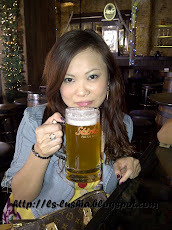 My first visit was for lunch with my colleague. And then, another tea session with my bestie on Sunday. Charmingly designed bistro with whimsical decorations that creates and outstanding ambiance to dine in. Delightfully relaxing environment, am loving it! Prepared with zuchinni, carrots, chickpeas and frissee lettuce, served with green chilli and herb dressing- fresh & appetizing! 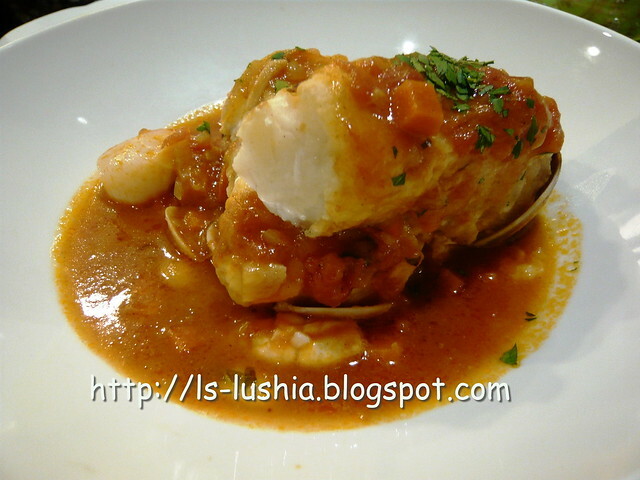 Served with clams, scallop, calimari in tomato and garlic sauce. Fresh roasted fish and juicy seafood- pretty satisfying! 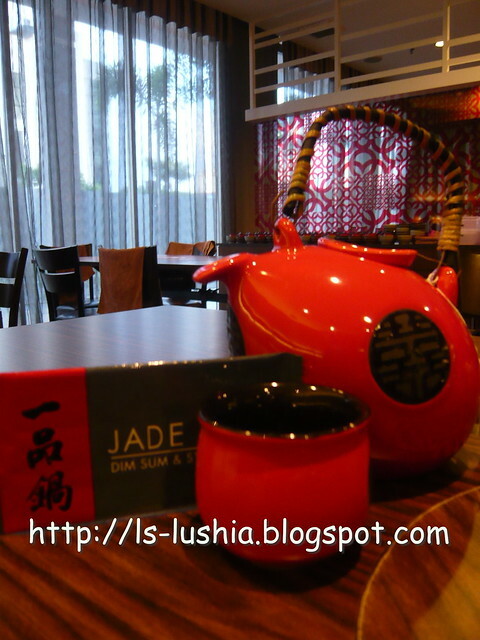 And then a tea session with my bestie- High T for two set - stated in menu, only available from 3-6 pm. Tea session on a blissful Sunday! 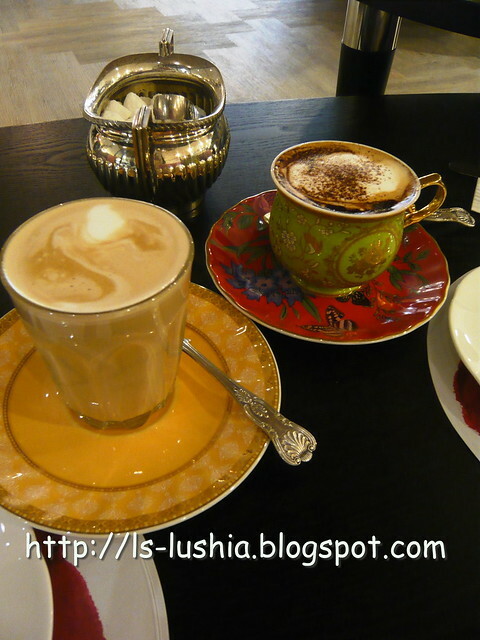 A cappuccino for her and a latte for me! 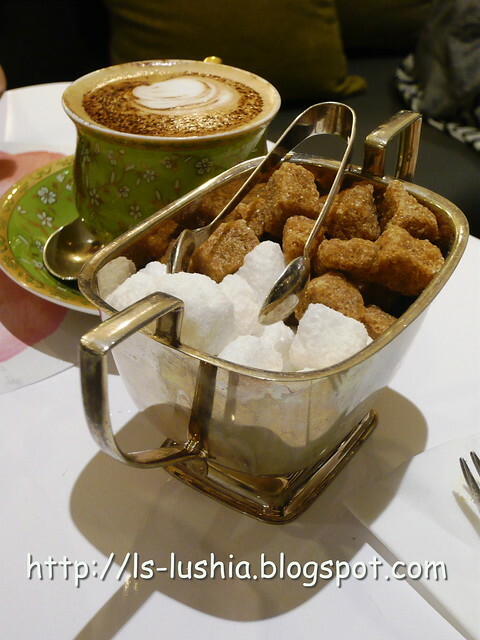 High T for two set comes with two drinks (select from menu), salmon and sandwiches, scones, cakes (select from menu), macarons and chocolate truffles. 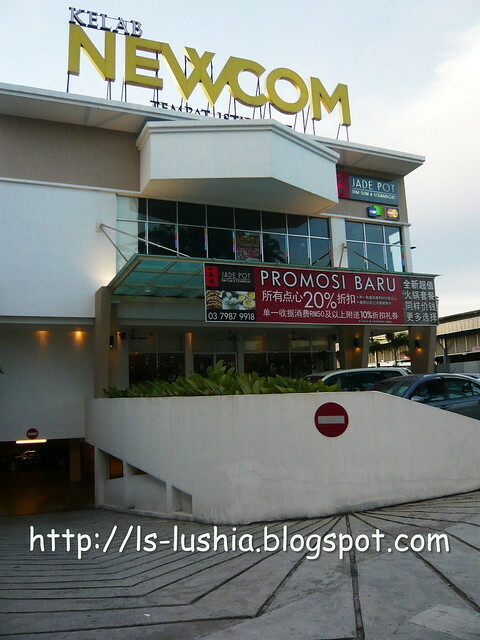 There are two outlets, the first outlet is at Empire Subang Gallery which is a cafe. The other new outlet in Bangsar Village II is a bistro.